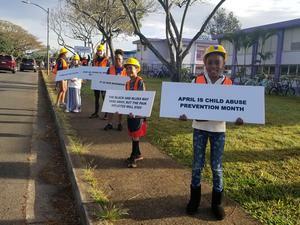 Our Junior Police Officers participated in the Blue Wave campaign to prevent child abuse. Other community members joined in on the wave as well and wore the color blue. Thank you for acknowledging our JPOs by honking and waving. Click on this article to see more pics and video. 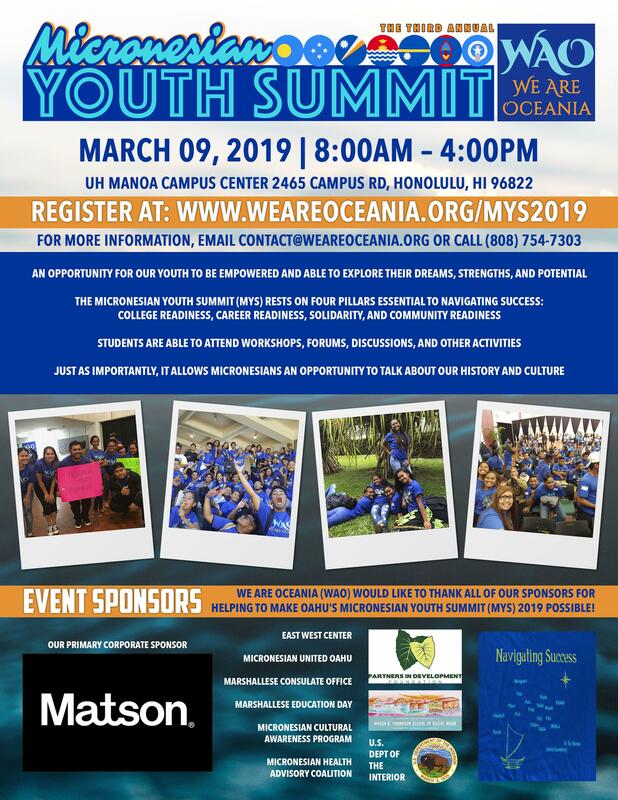 The Micronesian Youth Summit is being held for students of Micronesian decent interested in College Readiness, Career Readiness, or Community Readiness. Flyer attached. 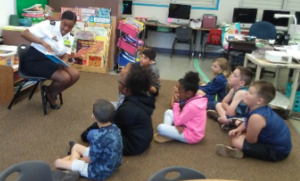 Solomon celebrated Dr. Seuss's birthday and Read Across America on March 1, 2019. Our students were treated to stories read by guests to our school. Our nine guests had so much fun and thanked us for inviting them to our event. Also linked to this announcement are our Dr. Seuss door winners! Grades 3-5 students participated in AVID Career Day. They were treated to speakers from various fields of work. Students were active listeners, asked wonderful questions, and took notes during the sessions. Speakers included a police officer, social worker, counselor, writer, artist, chef, cupcake baker, teacher, flight attendant, veterinarian, interior designer, zoologist, business owner, and cybersecurity agent. Click on this article to see pictures. The construction of our new school is well underway. On a recent visit, the leadership team was delighted to see the progress being made. 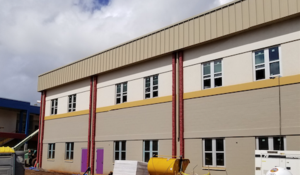 The facades on the outside of the buildings have been installed and painted. The insides of the classroom building have walls erected, floors stained and sealed, and cabinetry installed. We are so excited! See more photos. 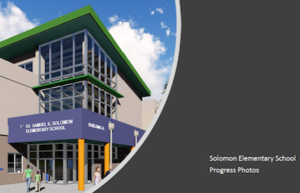 Solomon Elementary School's Campus Improvement (SESCI) Project is well underway. We are so excited to be able to watch the construction of our new school. Please click on this link to view the progress from architectural drawings to the current status of the construction. We plan to open the school in August of 2019. Student identification badges have been issued to all students for a variety of purposes including service in the lunch line. Due to changes in personnel and the point of sale system, the school has been working diligently to refine procedures to speed up meal service in the lunch line. In 1986, Congress passed the Asbestos Hazard Emergency Response Act (AHERA) which mandated the Asbestos-Containing Materials in Schools Rule, 40 CFR Part 763. It requires all primary and secondary school buildings to be inspected by AHERA accredited inspectors and to identify all asbestos-containing building materials.